The Air Force is facing a projected shortfall of fighter pilots that could leave the service without enough pilots to fill its cockpits, let alone other jobs such as liaison officers, test pilots and staff positions. 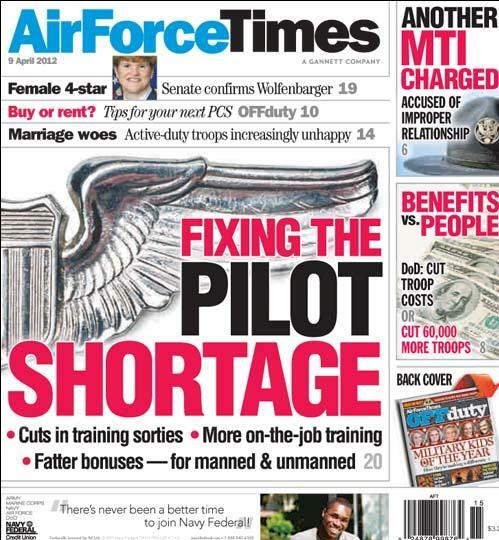 The problem stems from a decade of war, during which the Air Force has been forced to cut flying hours and taken away instructors needed to push pilots through the pipeline, according to Lt. Gen. Hawk Carlisle, Air Force deputy chief of operations, plans and requirements. But because it takes so long to get a pilot through training and to an operational squadron, personnel decisions made today won’t be felt for years later. In the interim, the Air Force is offering up to $125,000 to entice manned aircraft as well as drone pilots to stay in the service a bit longer.